Your ultimate guide to Hong Kong's most iconic and breathtaking landmarks! I have spent the majority of my life in Hong Kong and the city never ceases to amaze me: Hong Kong has it all. Are you a foodie? Hong Kong has you covered. 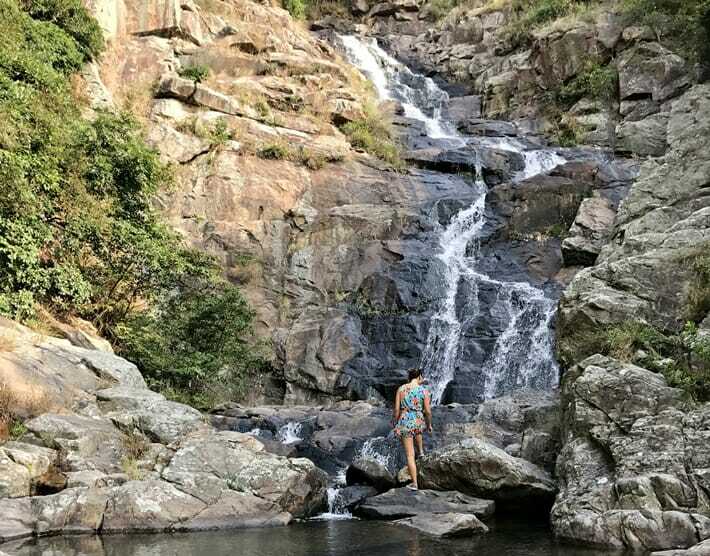 Love immersing yourself in nature? Done and done. Are you a shopaholic? We’ve got dozens of malls and markets. A lover of rooftop bars? There are too many to count. 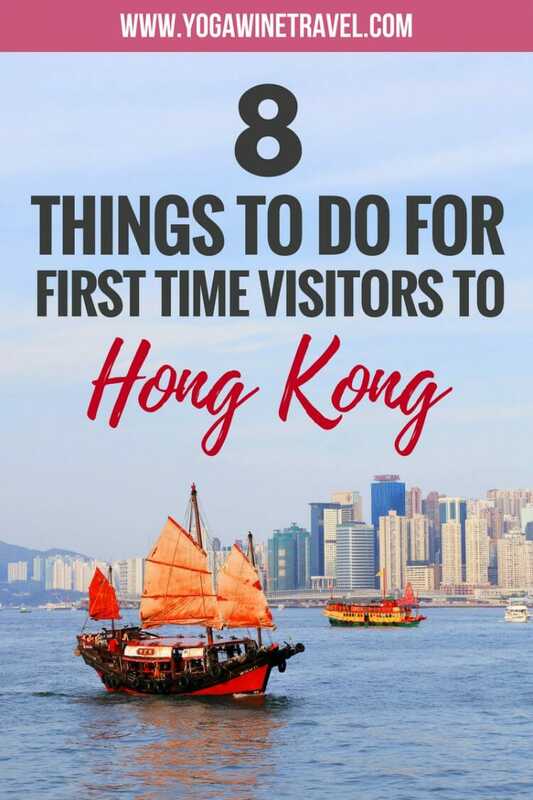 If you are visiting Hong Kong for the first time and want to see the quintessential, iconic sights of the city, then here are 8 things you must do and see in Hong Kong – take it from a local. 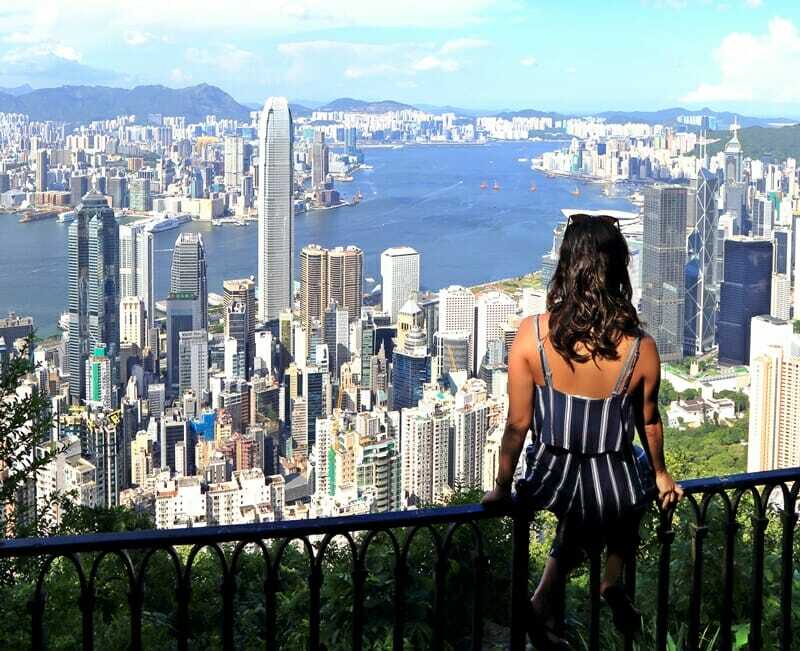 Just make sure you plan a trip back as these 8 things only scratch the surface of what Hong Kong has to offer – read on for the top points of interest to add to your Hong Kong itinerary! Victoria Peak is one of the most popular attractions in Hong Kong. 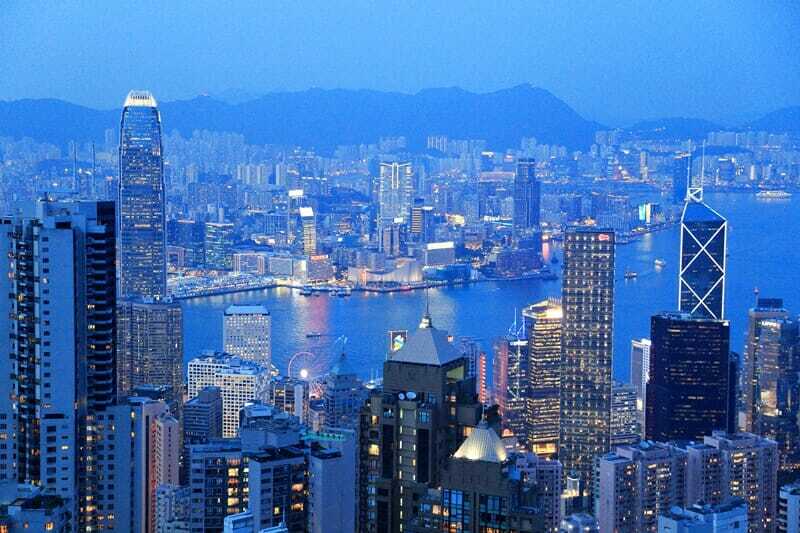 It is the highest point on Hong Kong Island, which means the view is spectacular! 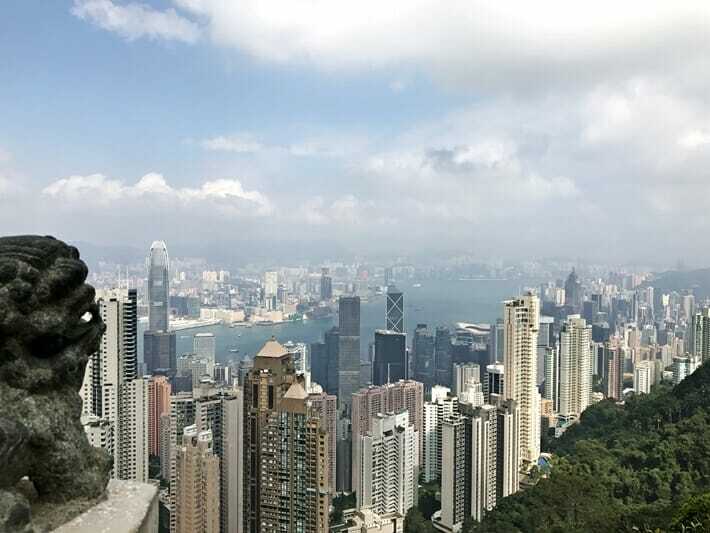 There are a number of different lookout points at the Peak: the Sky Terrace in the Peak Tower (you will need to pay an entry fee unless you purchase a combined ticket at the Peak Tram), the free viewing platform in the Peak Galleria and Lion’s Pavilion to the right of the Peak Tower. The best time to go to Victoria Peak is during a clear day right before the sunset, and if you’re lucky you’ll see the skyline at blue hour. If you have an hour to spare, head to Harlech/Lugard Road and walk along the circular trail to get away from the crowds. How to get there: Take the bus 15 from Central (route map and prices here) or hop on the Peak Tram (pricier than the bus but much quicker). The bus and tram get very busy so be prepared to stand! You can also catch a taxi, just tell the driver you want to go to “San Deng”. 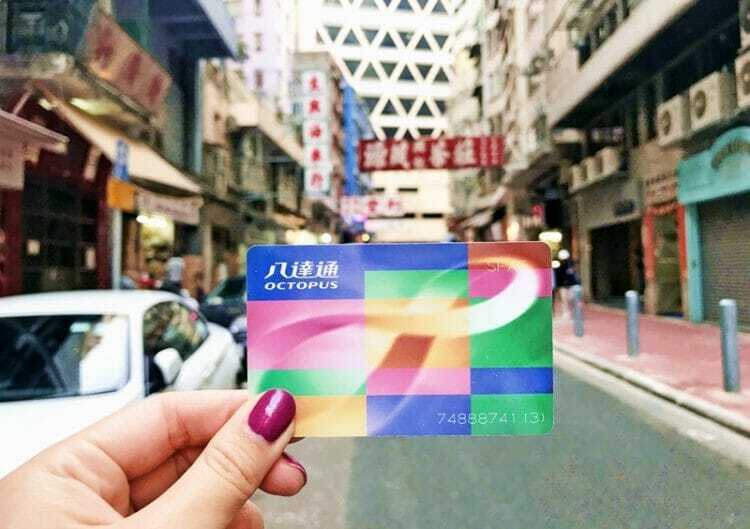 If your heart is set on experiencing the Peak Tram, skip the queue with this special combo ticket for the Peak Tram (one way) + observation platform. This ticket usually costs HK$94 but you can purchase it for 25% off by clicking here. Make sure you choose a time and meet the guide at Central MTR Station Exit K – he or she will then lead you to the Peak Tram station and bypass the massive lines! 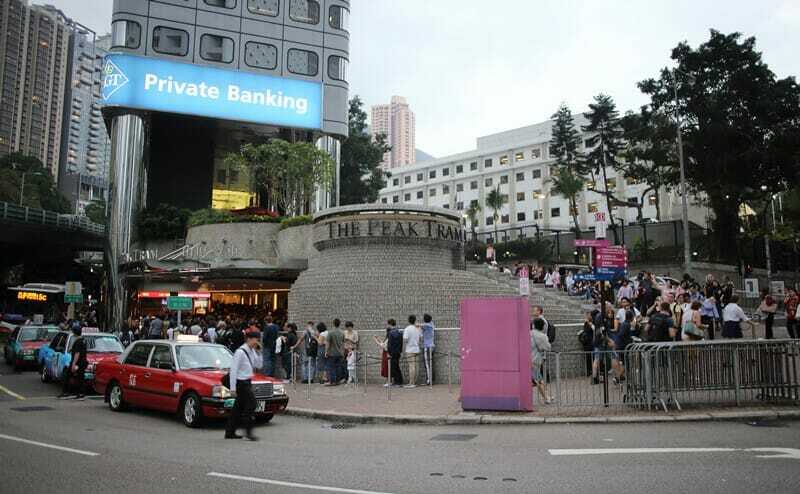 Alternatively, take the Peak Tram going down instead of up – the queues are much shorter! Yes, it’s a tourist trap, but you should still visit (just don’t buy anything!). Stanley was a fishing village and was the last stand for the British troops before surrendering to the Japanese in 1941. 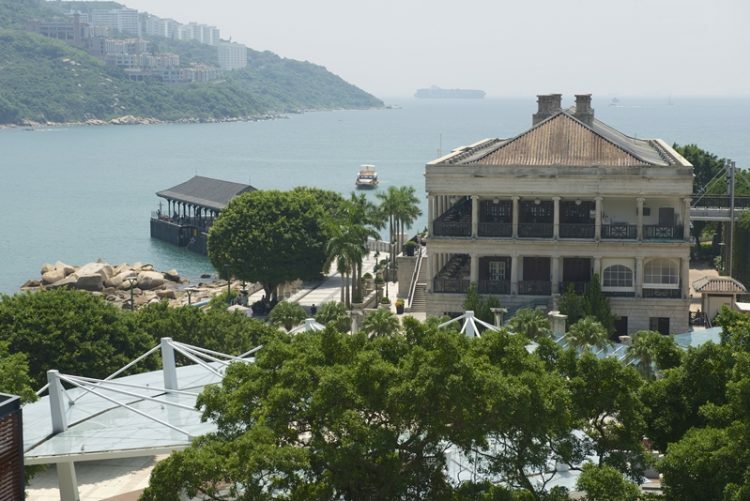 Today, tons of souvenir shops make up “Stanley Market” and it is also home to the beautiful Blake Pier and Murray House. 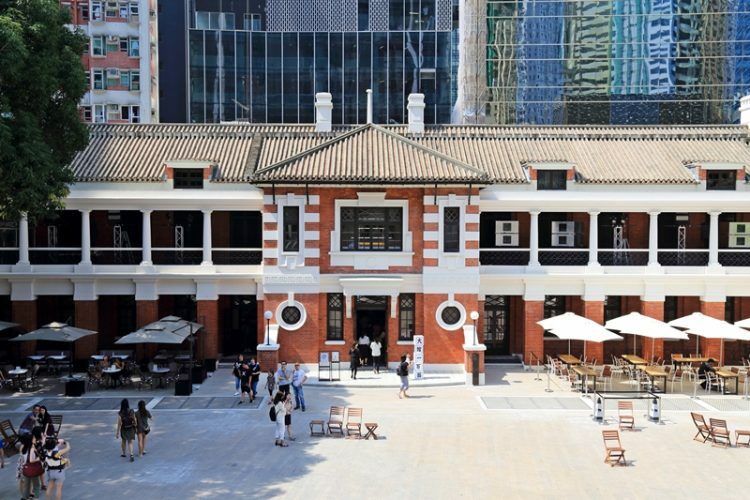 Murray House is a restored Victoria-era building that used to be located in Central – it was dismantled in the 1980s and reassembled brick-by-brick at its current location. Stanley shows the slower side to Hong Kong and is a great place for lunch on a sunny day, there is also a small beach if you’d like to go for a dip. I would recommend avoiding Stanley on the weekends as it can get very busy. How to get there: Take bus 6, 66, 6X or 260 from Central, or hop in a cab – tell the driver you want to go to “Chek Chuh”. Alternatively, you can also hike to Stanley via the Twin Peaks. Head on over here to read the full list of 12 fun Hong Kong day trips to go on! I pretty much tell everyone to go on a harbour cruise on the Aqua Luna or Dukling, and have personally been on their famous sunset cruises a bunch of times – it never gets old! 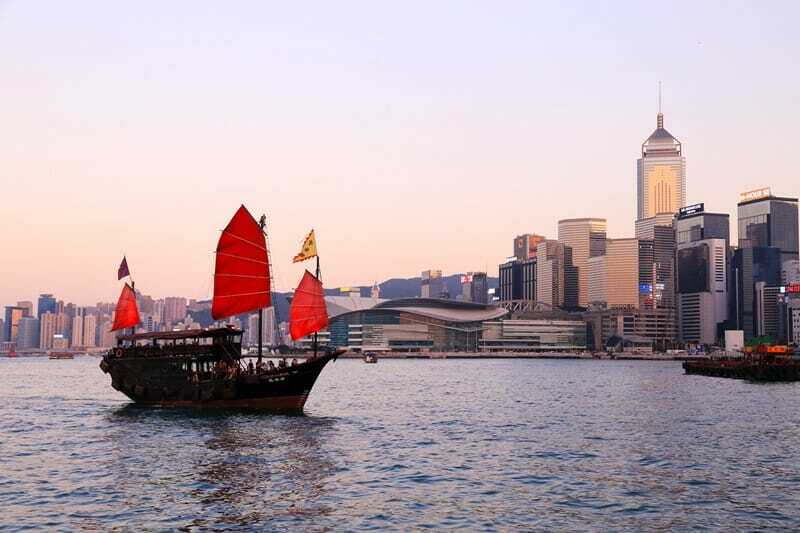 The Aqua Luna is a restored old Chinese junk boat that hosts cruises and dinners along Victoria Harbour, and the Dukling is one of the oldest Chinese junk boats still in operation. Book your harbour cruise with Aqua Luna here and get 10-15% off or book your harbour cruise with Dukling here. 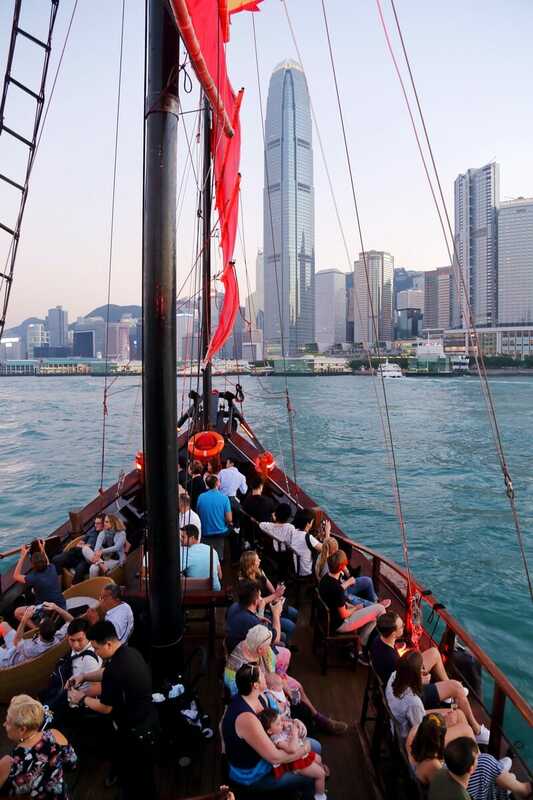 Both depart from Pier 9 in Central – your ticket includes 1 alcoholic beverage! 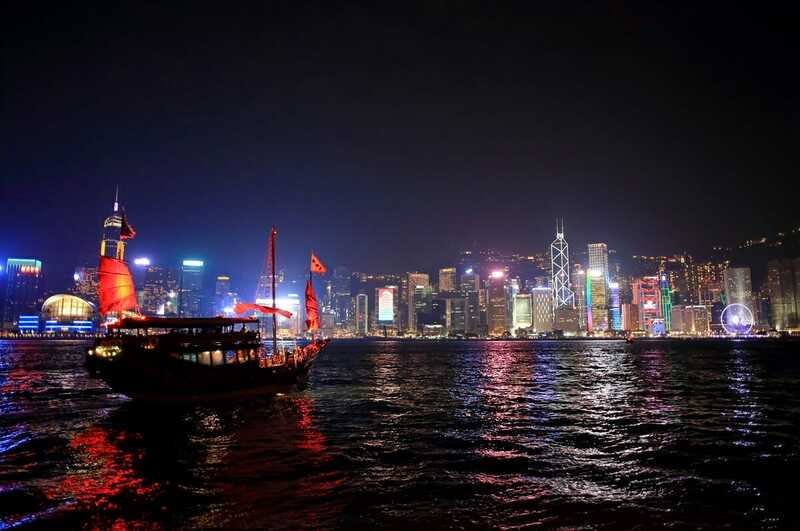 Instead of doing a round trip, hop off the boat on Tsim Sha Tsui side and stay for the daily evening light show. To get back to Hong Kong side, hop on the iconic Star Ferry. 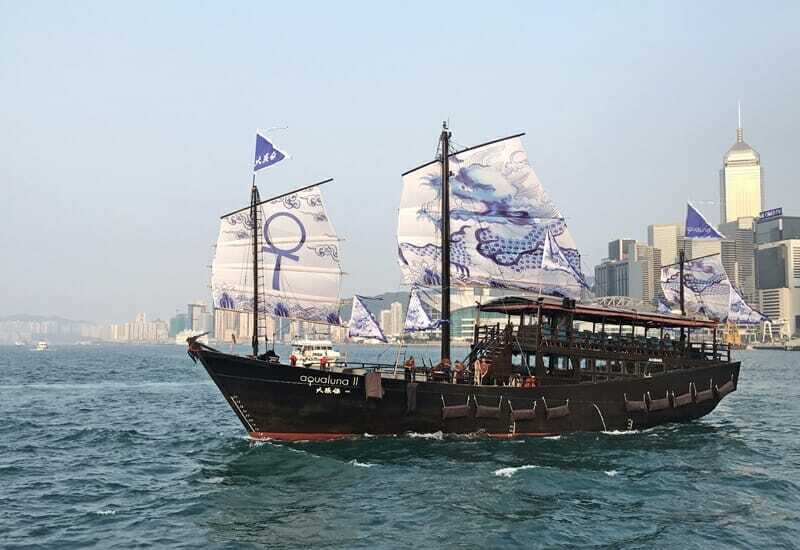 The Aqua Luna recently added a new boat to its fleet, but they both set sail between Central Pier 9 and Tsim Sha Tsui. If you are dead set on going on the boat with the red sails just wait a few minutes and it should dock soon after the junk with the blue & white sails. 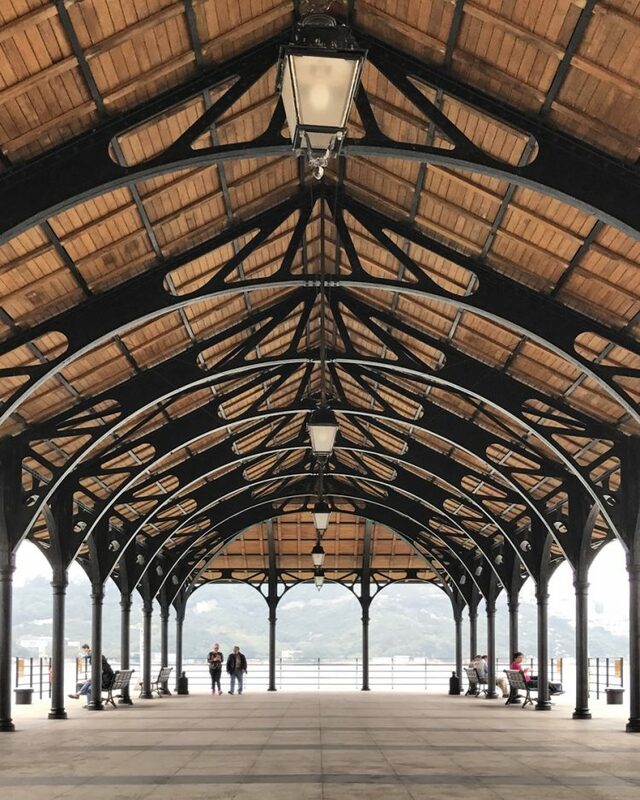 How to get there: Pier 9 is located on the waterfront in Central. Catch any bus that heads to Exchange Square/IFC or hop in a cab – tell the driver that you want to go to “Gau Ho Ma Tau”. 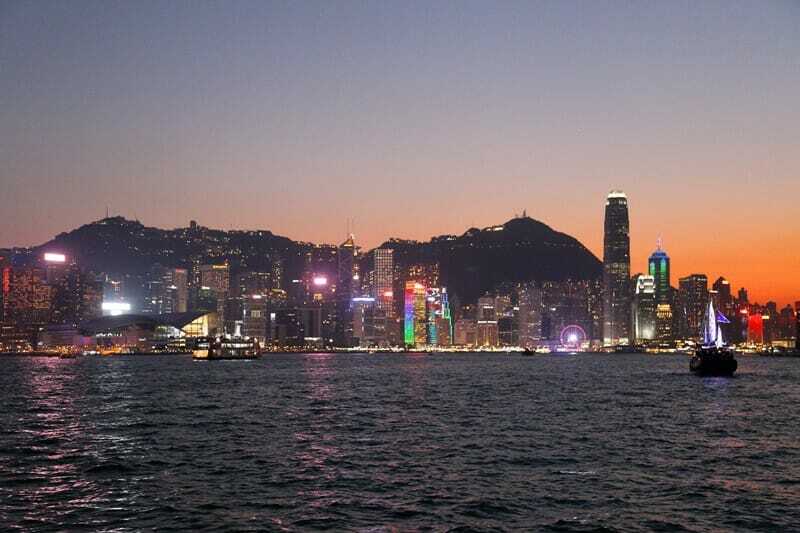 Victoria Harbour is one of the most colourful spots in Hong Kong and truly comes alive at night. Click here for a local’s guide to the most colourful places to visit in Hong Kong! 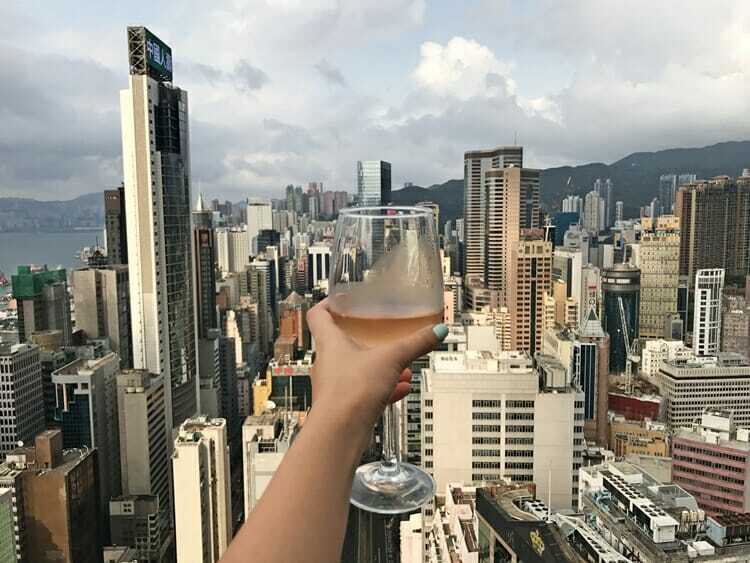 There are so many rooftop bars in Hong Kong to choose from! There’s nothing better than hanging out with a drink in hand on a nice afternoon, casually checking out the view. Click here for a list of the top rooftop bars in Hong Kong! On a budget? Grab some brewskies and vino from 7-Eleven or a supermarket and head to the IFC rooftop garden (4/F) where there is public seating available. Take some time to explore the city on foot. 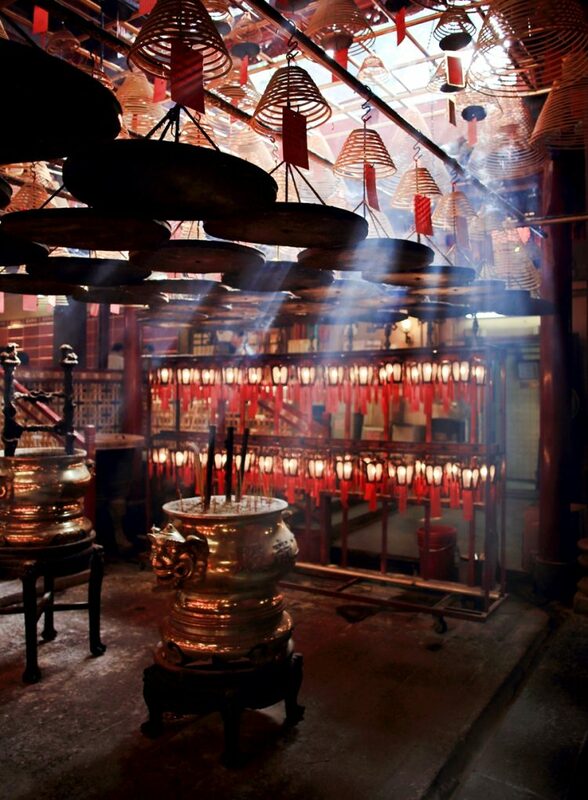 There are a number of great sights in Soho and Sheung Wan from Man Mo Temple to PMQ and Tai Kwun. There are also a lot of amazing street art pieces to be discovered as well as interesting storefronts to check out. How to get there: From Central, head to the Mid-levels Escalator (the longest covered escalator in the world), or walk up through Lan Kwai Fong (bar street) or Lyndhurst Terrace. You can also catch a cab, just tell the driver “Zhong Wan Soho” or “Zhong Wan Bai Fa Gai”. Looking for a place to stay? Look into hotels in Wan Chai, Central, Soho, Sheung Wan and Causeway Bay for maximum convenience! Click here to book accommodation in Hong Kong! This Buddha statue is HUMONGOUS! 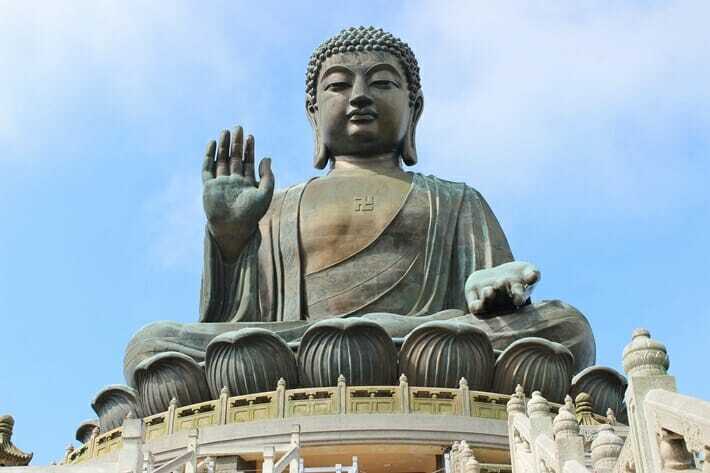 The Tian Tan Buddha is located on Lantau Island and was completed after 12 years of construction in 1993. The bronze Buddha draws pilgrims from all over Asia and there are 268 steps that lead up to the statue. Across from the Tian Tan Buddha is the Po Lin Monastery, home to many devout monks! How to get there: Take the yellow MTR (subway) line from Hong Kong station in Central to Tung Chung Station. From Tung Chung station you can go on the Ngong Ping Cable Car or bus 23. Get 15-30% off your one-way or round trip Ngong Ping Cable Car tickets and skip-the-queue by booking here! It’s also possible to take a cab from Tung Chung station but it’s pretty expensive- US$30 or so. Tell the driver you want to go to “Dai Fut”. Click here for even more Hong Kong travel tips and advice! Stuffing your face is one of the best things to do in Hong Kong. 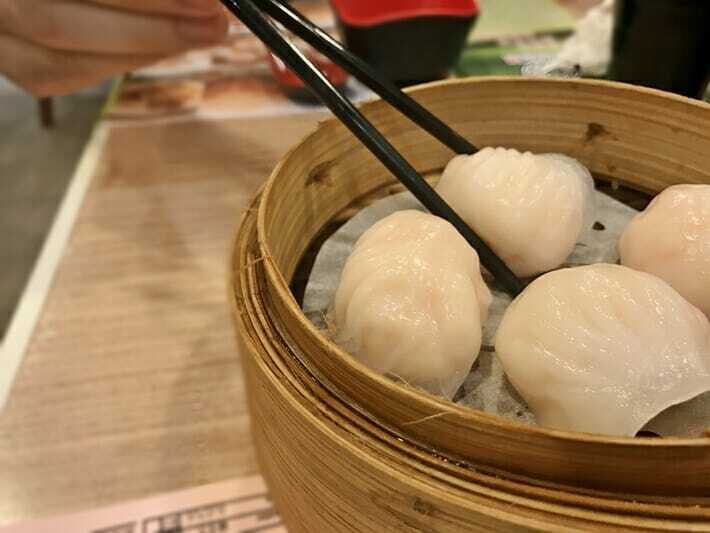 Hong Kong is famous for delicious Cantonese fare, one of which being dim sum. 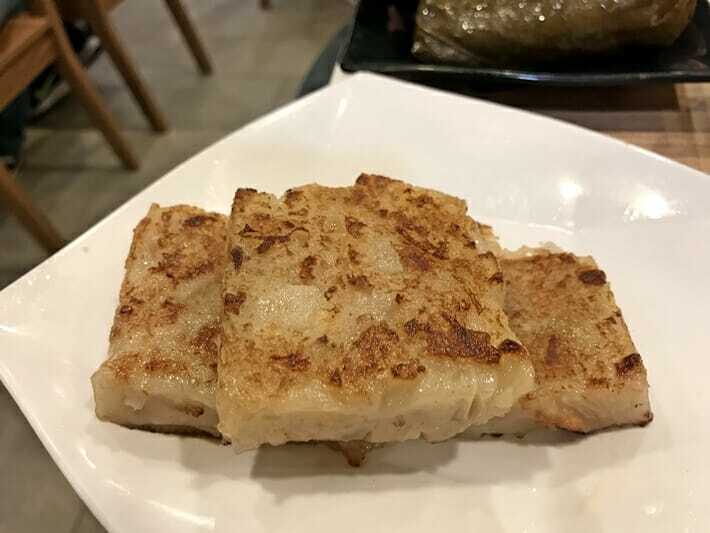 Dim sum is typically eaten at brunch time (or earlier) and consists of lots of bite-sized food – steamed shrimp dumplings, barbecue pork buns, spring rolls, fried turnip cake and much much more. 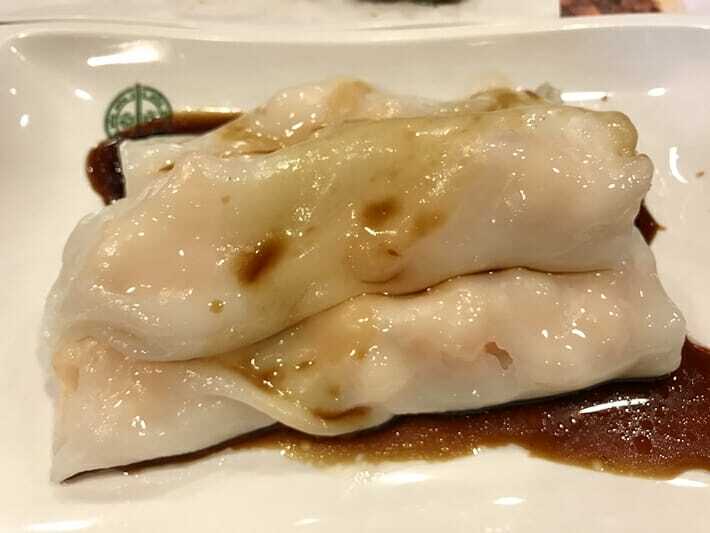 Hong Kong is home to Tim Ho Wan, the world’s cheapest Michelin-starred restaurant, as well as tons of other dim sum restaurants. I have yet to meet anyone who doesn’t adore dim sum. True story. Want more restaurant recommendations for Hong Kong? Click here for 20+ awesome food spots to check out! 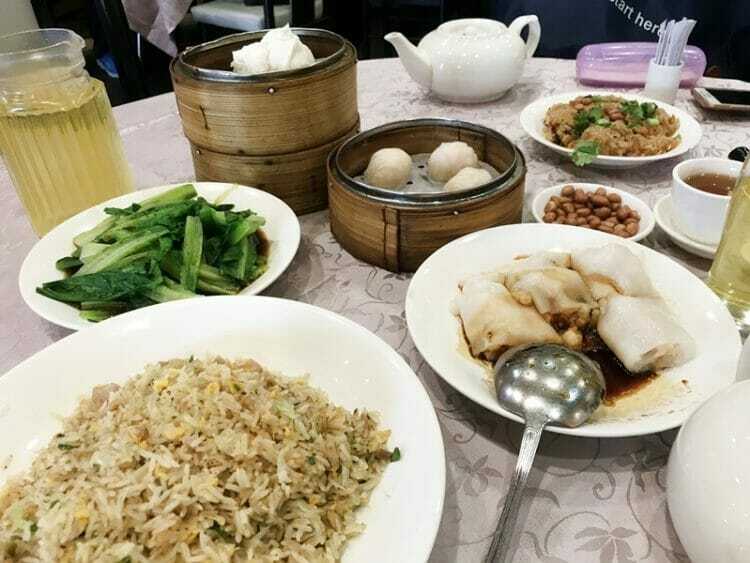 I love dim sum, but don’t have it for every meal – try other Cantonese fare and Chinese cuisines. Click here for even more things not to do in Hong Kong! This beautiful public space in the heart of Hong Kong is a breath of fresh air and IMHO, one of the biggest Hong Kong hidden gems. 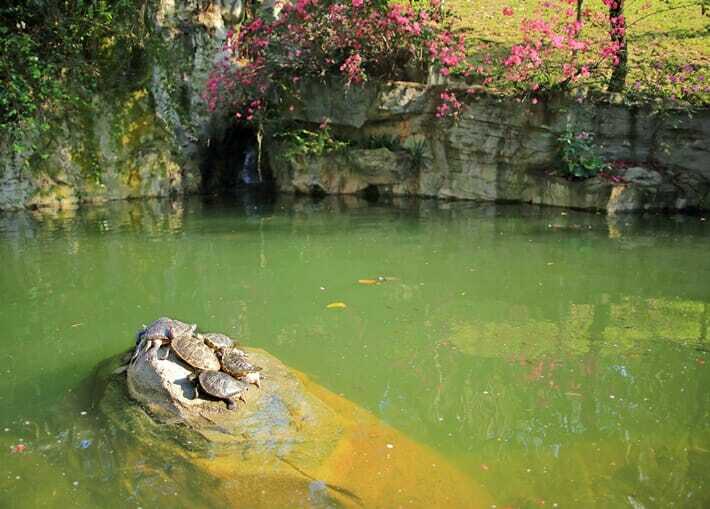 Check out the conservatory, say hello to the turtles, walk behind the waterfall and let the streams and ponds soothe your soul. Entry is free and it leads straight to the Peak Tram if you are heading up to Victoria Peak. How to get there: Head to Pacific Place/Admiralty by bus, tram or MTR (Admiralty station) and follow the signs up to Hong Kong Park. Alas, we’ve come full circle! Have a little more time? 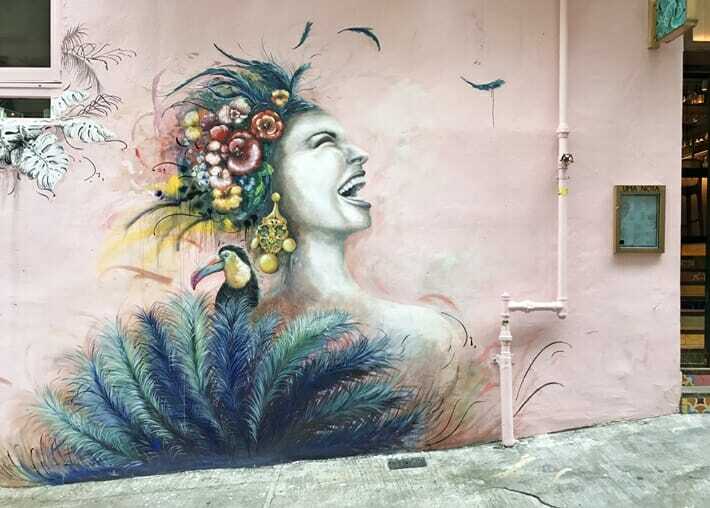 Head to the flower market in Mong Kok, take a day trip to Macau, Cheung Chau or Lamma or check out some of Hong Kong’s beaches, hiking trails and waterfalls – told you there were a ton of things to do in Hong Kong! More Hong Kong day trip ideas over here. If it’s your first time to this city, you’ll need a minimum of 4 to 5 days in Hong Kong to cover the must visit places. 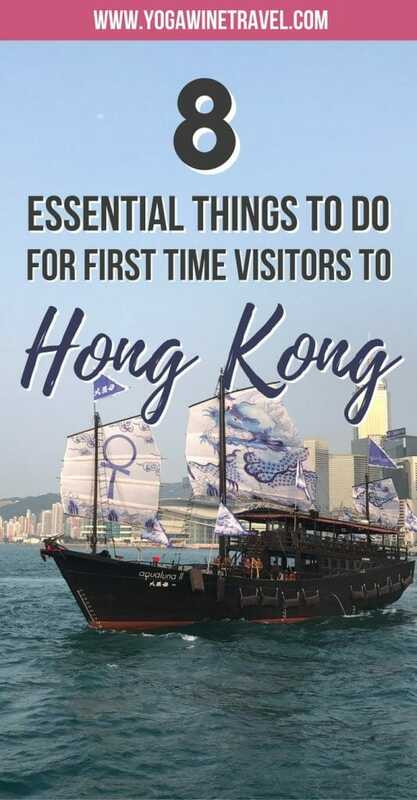 Though it is easy to get around, you’ll find that 4 days in Hong Kong is not truly enough if you’re looking to explore the city beyond the top tourist attractions. There are plenty of easy Hong Kong day trips to do if you are able to spend a week or even longer in the city – trust me, you won’t regret it! Looking for more Hong Kong travel tips and advice? Head on over here! Hong Kong is full of wonderful sights and these are 8 of the top attractions to visit during your first-ever visit. 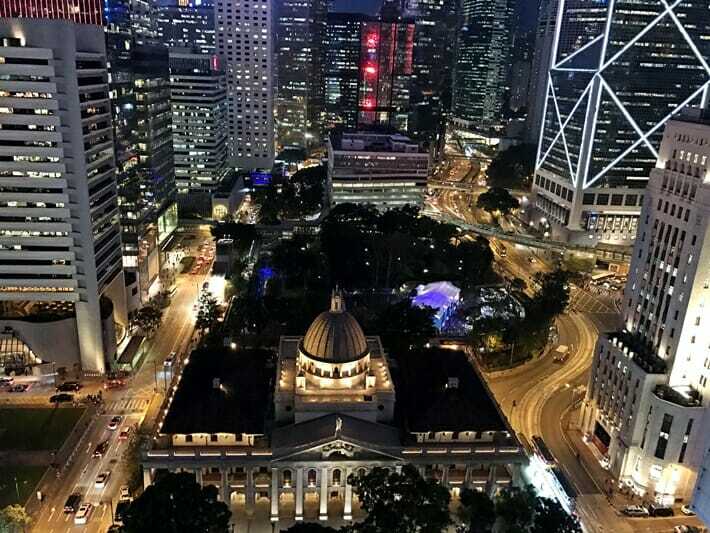 If you are looking into where to stay, check out hotels in Central, Soho, Wan Chai, Sheung Wan and Causeway Bay to make the most of your time in the city. Click here to book accommodation in Hong Kong! Have you been to Hong Kong before? What are some other iconic sights that you would add to this list? Share them in the comments section below! I have a friend that used to live in Hong Kong and she always told me how great it is! I definitely will have to head there sometime, looks amazing! It’s a wonderful city to visit, Erin! This has got to be one of the most well-written articles about newbie city adventures I’ve read! I’ve pinned this for later and will definitely refer my friends to it! I really like how you included which bus and metro lines to take to the different points of interest! I am a foodie and a shopaholic so this would be amazing. All of the food pics look delicious. I would love to see the Buddha. Everything looks amazing. I need to visit that part of the world. It seems really interesting and stunning. Looks like it will make great adventure! The parks look really nice as well. I love cities with greenery! I love the beautiful greenery in Hong Kong – we’re surrounded by mountains and the ocean! I read a book once that was set in Hong Kong and it has been on my wander-list ever since. It looks like a really great place with a lot to offer! 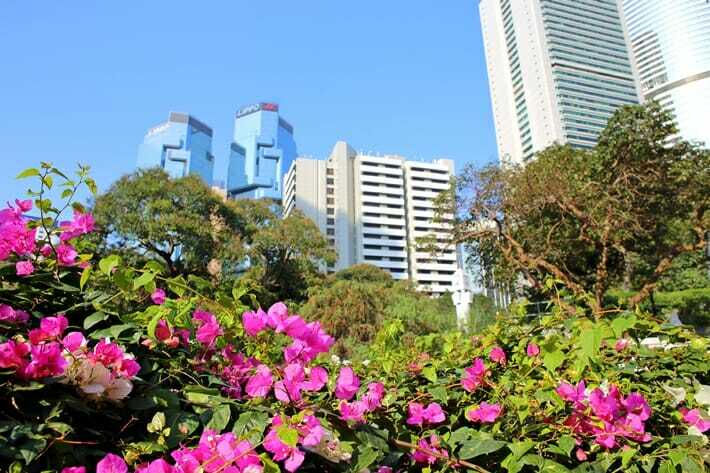 The park looks beautiful, it’s always refreshing to find nature amongst the skyscrapers. It’s a wonderful city – I hope you come to visit soon, Abbi! I’ve been here for years and never been on the Aqua Luna lol! Gotta make a conscious effort now to try. Haha it’s a fun ride! I’ve been on so many times and it never gets old. Oh I love dim sums!! Would love to visit Hong Kong one day, will keep this one pinned for future reference! There is AMAZING dim sum here – hope you get to taste it soon! The Aqua Luna cruise sounds fantastic! I’ll have to tell my brother who travels there for work occasionally to check it out. I love being out on the water and watching the city lights come on after sunset must be spectacular. It never gets old, Kris! Wow! 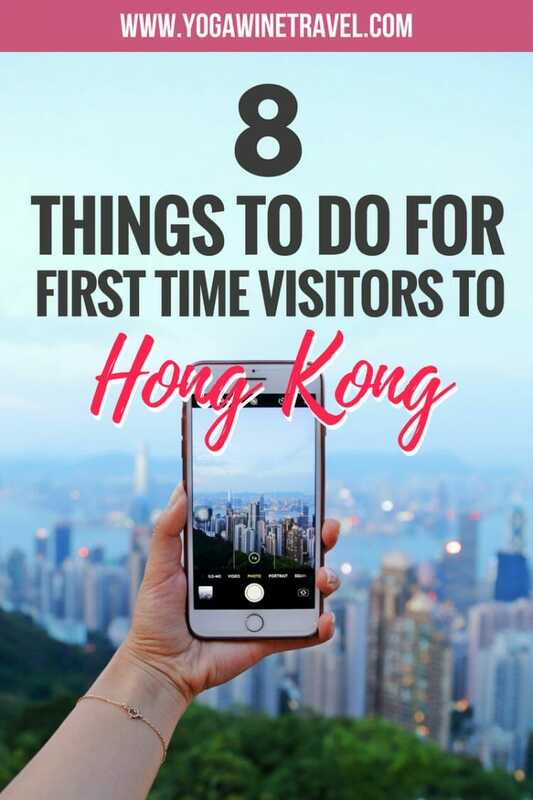 I’ve never been to Hong Kong, but you compiled an amazing list of attractions for someone visiting for the first time. My mouth is watering just looking at your dim sum pictures! Haha thank you for checking this out, Megan! I had to snap the photos quickly because I was worried the food would get cold! Thank you so much for checking this out Lauren! I hope you get to come back to visit sometime soon – let me know when you’re in town so we can meet up for drinks! This is great! I will use this mini-guide in Hong Kong. Thanks for sharing! I’m glad you found it helpful, Amalia! I’m a big time foodie. That’s why the dim sums caught my attention. I honestly feel that they are a healthy choice of eating. Since I suffer from IBS that is really important to me. These tips are simply wonderful, Flo! 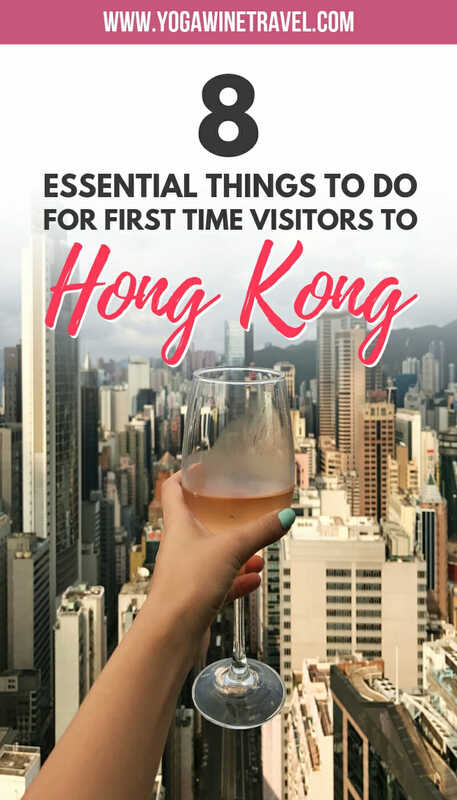 This will be an extremely helpful guide for anyone going to Hong Kong! Thanks so much for checking this out Agness! I really love my home city and want to spread the word! So good to see this. We are planning a trip to Hong Kong so this is gold. Thank you so much for sharing. Let me know when you’re thinking of visiting Cory! What a great guide. I wish I had read this before I spent 24hrs stumbling around like a loner looser in Hong Kong. I loved so many things about Hong Kong – but especially the dim sum. I think you’re right that everybody adores dim sum. I can’t wait to return and eat more. I’ve been to HK before, but that was way back in like 1998 or some other year that makes me sound equally as old. 🙂 We plan to visit again sometime while we are living in Singapore, maybe even this October! I’ll definitely be searching through all of your posts to help me decide what to do! 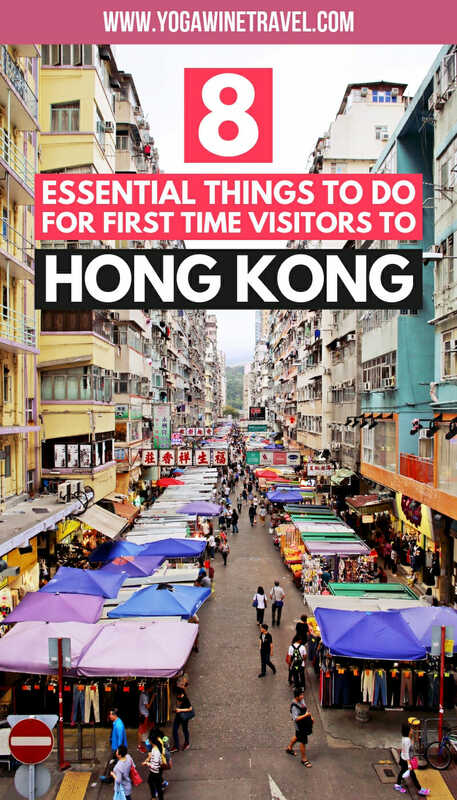 I’ve been to HK many times as a child and I can def appreciate this list! Great must see and do for first timers! Thanks for checking this article out, Jin! 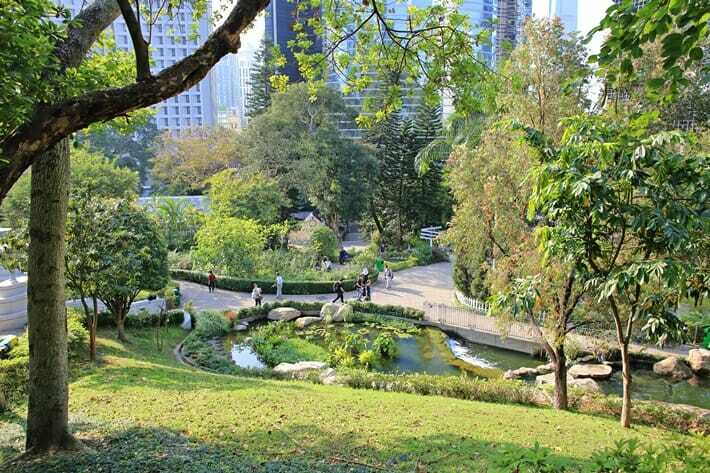 Hong Kong Park looks like an oasis of calm in the middle of that concrete jungle. The waterfall reminds me of an actual forest. Its impressive how some metropolises manage to balance modernity with nature specially well. 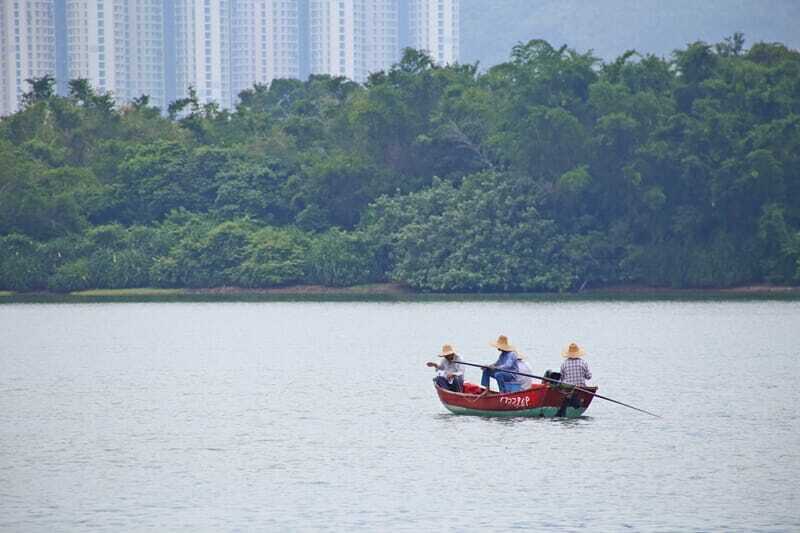 Hong Kong is a wonderful mix of nature and the city! 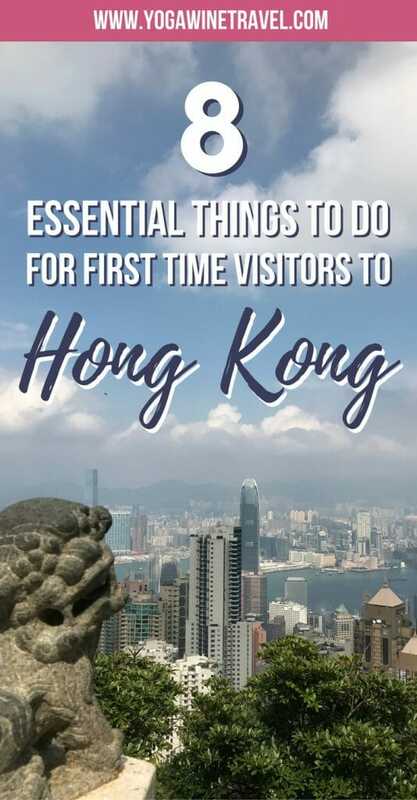 Haven’t been to HongKong yet so thanks for this guide! The view from Victoria Peak is spectacular! The parks are just gorgeous!!! I hope you get to visit Hong Kong soon, Bhusha! Victoria Peak is where I am headed. The view from there is spectacular. I’ve only been to Hong Kong for a day because of a flight transit, but I really did enjoy my time there. Victoria Peak was a pleasant experience because I got to see the view and all. I love your pics, btw! What camera do you use? The rooftop bars never ever get old! Damn if this doesn’t look like a fun city to spend a few days! Food and wine is about all I would need but those views look great and sure the cruise may have to happen too! 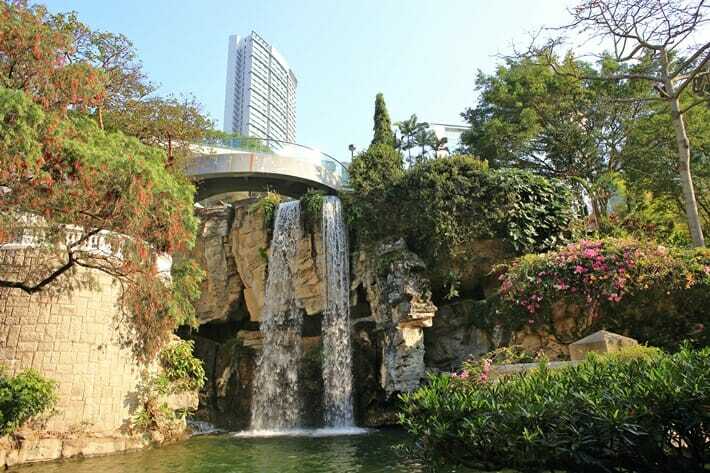 Thanks for the tip on finding Hong Kong Park, it looks amazing. Didn’t expect such natural beauty to be in the city. Thanks for checking this out, CJ! 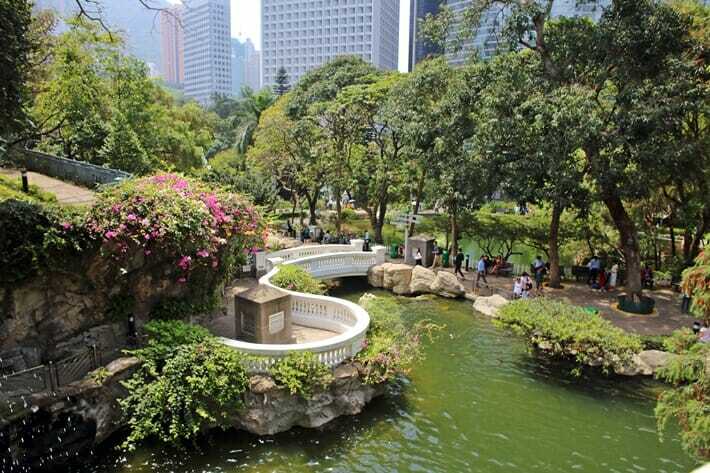 Hong Kong park is a bit of a hidden gem, it’s a nice little oasis right in the CBD! I loved Hong Kong when I was there few years ago. Thanks for bringing me back memories of my trip. I especially enjoyed the night laser show on the city skyline. Thanks for sharing. The light show is a crowd favorite! Thanks for reading, Anita! Hong Kong is a throbbing and vibrant place with a wide range of experiences on offer. We had a great time when we were there a couple of years ago. 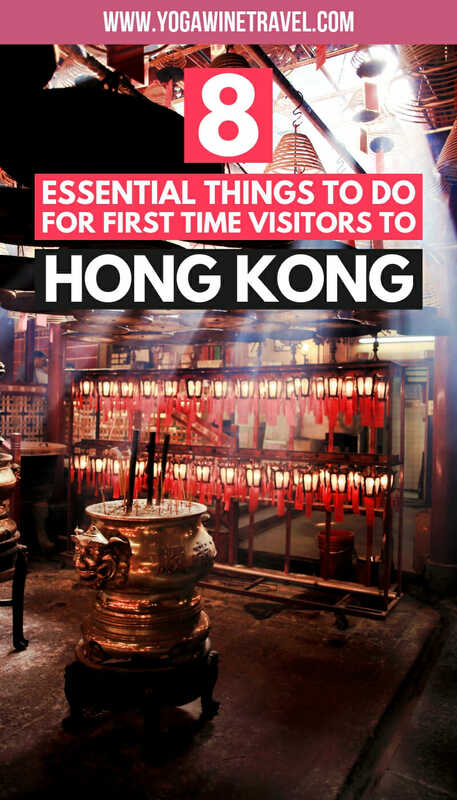 Your list covers the top things to do in HK and holds the promise of some lovely times. Thanks so much for taking the time to read this! Hope you get to visit this awesome city again soon. You have shared so many pearls of wisdom for the first timers. That whole bit about the currency and certain places being tourist traps is so useful. It is this kind of information that the reader is so keen on! Thanks so much for taking the time to read this! Hope you get to visit Hong Kong if you haven’t done so already. I’ve never been to Hong Kong, but I’ve been reading a lot about it and my friends have been texting me about their trip there, and sending me photos, and reading you makes me want to go asap! It’s on top of my bucket list! I really hope you get to check it out in person, Liana! Hong Kong is just such a wonderful place to visit. Wow I’ve been to Hong Kong about 5 times (I live in China) and I thought I’d done EVERYTHING. But this post made me realize I haven’t been to Soho and Sheung Wan and I haven’t ever taken a cruise. I guess I have to go back. Now you have a reason to visit again! A lot of new restaurants are opening up so if you’re a foodie you’ll love it. I have been told that since locals don’t understand English and public transport is difficult to manage for first timers, the safest bet would be to pre-book with a travel agency so as the transportation is sorted. What is your take on that? Hi Niketa, thanks for your comment. I would have to say that I don’t agree with this at all. Public transport is extremely easy to navigate and many people understand basic English. I bet you were told this by a travel agent. You can absolutely get around easily and most locals in the city speak English and are more than happy to assist you if you need directions. I lived there for 4 years and spoke very little Cantonese. I used to tell people that the most difficult thing to do was to look at a map. Someone would always come over and offer to help me find my way. Do consider booking a tour or two when you visit. A local food tour or historical tour at the beginning of your trip will help you get your bearings. Hi Flo, I came across your blog while searching for things to do in Hong Kong. I like your content and the layout of your blog. I’m also going to visit Taiwan. I have 12 days total for both Taiwan and Hong Kong. Do you have any posts for Taiwan? Thanks! I’m working on a list of things to do and see in Taipei, Taroko and Sun Moon Lake and hope to have them up in the next few months – you’ll love Hong Kong and Taiwan. Have a great time! Flo – I lived in Hong Kong from 2004 – 2008 and miss it so much. We are planning a return visit next year and I have been visiting a lot of travel sites. I have to say that this is my favorite. You have really given great advice for first time visitors and even seasoned ones like me that need a refresher course. Thanks so much! Hi Donna! Thank you so much for the thoughtful comment – I truly appreciate it. I hope you have an amazing time when you come back next year, so many fantastic new restaurants have opened up. Make sure you guys try Ho Lee Fook, the food is sublime! This is EXACTLY what I needed! How many days would you say one would need to accomplish all of these things? If I arrive on a Saturday, hit the peak early, (take a nap! – I’m coming from the US), then do something and the cruise? I’m a huge foodie… are there any food tours that you recommend, or should we just concentrate on the dim sum?! October 1-7 is a public holiday in China, which means many tourists from China come to Hong Kong. 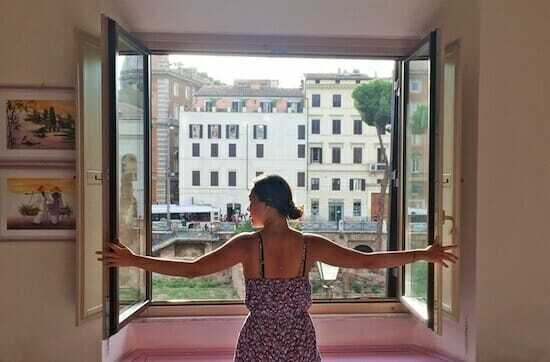 Hotel prices tend to soar during this week, and it can get very crowded at the major sightseeing spots. That being said, if you’re mentally prepared for the crowds there’s no reason why you should avoid traveling to Hong Kong during that week. I’ve been to many countries around the World. Hong Kong still remains on top of my favourite countries. I am going back there for a few days on my way to Europe and I will try the dim sum you suggested and probably go on the sun set cruise which I have not done. Thank you for the information! Hi! Thanks so much for taking the time to read this. Have an amazing time in Hong Kong! Hi! So glad that this post was helpful – hope you had a fantastic trip! Hi, any particular reason you do not recommend 1st week in Oct to visit HK? I’m plannin on going this week and at that exact time ? Hi Belinda, it is one of two major national Chinese holidays which means Hong Kong receives lots of Chinese tourists during that time. Hotel prices can be very expensive during that week – I would book as early as possible if I were you!